Just as our properties have won numerous awards, our executive leadership team has also been recognized for industry excellence. With years of experience and a focus on our Quietly Awesome customer service experience, our leadership team brings a long-term vision to Pillar Properties. Billy Pettit is responsible for the oversight of the development pipelines and asset management for Pillar Properties and under his leadership, the company has grown to become a respected developer in the Puget Sound region. 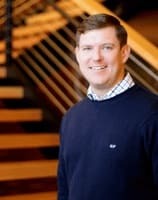 Pettit oversees the operations at all Pillar Properties locations including The Meyden in downtown Bellevue, The Century in lower Queen Anne, The 101 in Kirkland, The Corydon in Seattle’s University District, The Lyric in the heart of Seattle’s Capitol Hill and The Maverick in Burien. Pillar Properties partnered with Daniels Real Estate to develop The Nolo and The Wave at Stadium Place in Seattle’s Pioneer Square and Pettit played a key role in bringing that milestone project to life. 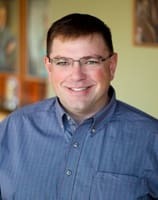 Pettit is also the leader of the strategic growth initiatives for sister company Merrill Gardens and he has been involved in over 30 development projects for the senior housing company. In its ten-year history Pillar Properties has developed roughly six million square feet of senior housing, multifamily housing and retail space and the company has completed development projects totaling in excess of two billion dollars.  Following the company’s explosive growth, Pillar Properties has been recognized five years in a row as a Fastest Growing Private Company in Washington by The Puget Sound Business Journal and was also named one of the INC 5000 Fastest Growing Companies four years in a row. Based on team member satisfaction, the company was recognized by both the Puget Sound Business Journal and Seattle Business Magazines as a Best Company To Work For. Following its annual resident survey, Satisfacts ranked Pillar Properties as a national leader for customer satisfaction four years in a row (2015 - 2018). Pettit's Pillar Passions philanthropic program is recognized nationwide - the winner of the Multifamily Executive Community Service Award for 2016. Pettit received the 2018 Real Estate ICON Award from IREM and he was named to the Puget Sound Business Journal 40 Under 40 Class of 2017, the Urban Land Institute 40 Under 40 Class of 2016 and he received the Multi Family Executive Rising Star of the Year Award in 2013. He also serves on the Board of Directors for the Washington Multi-Family Housing Association (WMFHA). Prior to joining the Merrill companies, Pettit was a Senior Associate at Herbert J. Sims & Company, a boutique investment bank focusing on the senior housing industry, where he worked on the private equity portfolio. Pettit also spent time working in Private Wealth Management for Merrill Lynch in Princeton, NJ. Pettit holds a B.A. in Economics from Hamilton College, and a MBA in Finance from the Foster School of Business at the University of Washington. Diana Norbury is responsible for Pillar Properties multifamily portfolio with a focus on operational and financial performance. Her passion lies in combining superior talent management with technology and innovative solutions to create the best possible resident experience. 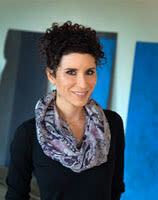 Since joining Pillar, her focus and efforts have encompassed the refinement of revenue management and business intelligence practices, talent management and education, operational systems implementation and training, lease-up and marketing strategies and the development of company policies and procedures for the growing portfolio. The superior team she has assembled at Pillar Properties speaks to her strength in attracting and retaining talent and mentoring them into future leaders. With over 16 years of experience, her tenure includes portfolio management of multifamily rental communities and condominiums in a number of markets throughout the U.S. She is also an IREM Certified Property Manager, serving on the local chapter's executive council as Vice President of Education as well as serving as a member at large on the National Education and Product Knowledge Committee. IREM honored Norbury by naming her the 2018 CPM of the Year. Norbury holds a B.S. in Management from the Georgia Institute of Technology with a minor in Organizational Psychology and Marketing. Scott Haines is responsible for the oversight of all construction and development for both Pillar Properties and sister company Merrill Gardens. In the past 12 years he has overseen the construction and development of over 30 new projects totaling in excess of one billion dollars. Haines leads the teams from development through construction at each of these projects, managing the architects, consultants and contractors throughout the duration of every phase of construction up to delivery. He is also responsible for setting the direction and leading Pillar’s in-house development and construction managers. Haines oversees and manages all plant operations for the existing Pillar Properties portfolio, including residential, retail and office space. He is also responsible for managing all capital improvement processes for the portfolio. Haines developed an aggressive maintenance program for all Pillar Properties team with the goal of providing service to residents as quickly as possible. As a result, his property teams have been ranked best in the country by Satisfacts for three years in a row based on resident feedback.